Making Stupid Phones Smarter: Will a New Strategy Be Imitated? Qualcomm just announced products that will be used to help feature phones take advantage of 4G networks. Let me translate that sentence (for those who need it). 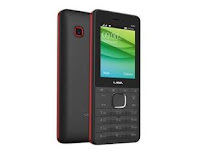 A feature phone is what some call a stupid phone – the opposite of a smartphone, because it is missing features such as the ability to install software. The screen is also simpler, and the price is much lower – around $20 in the markets that sell feature phones. 4G networks are made for smartphones, not for feature phones. Qualcomm is aiming for smarter feature phones, which would use 4G networks for higher bandwidth material such as video transmission. The trick is that consumers would like such material and might pay more for phones that provide it, and the telecom carriers would also like consumers to move into 4G so they can start shutting down 2G and 3G networks. Feature phones that use smartphone (4G) networks is an example of a market position, and a pretty innovative one too. Will it remain Qualcomm’s position alone, or will others follow? Well, Qualcomm’s usual market position is smartphones that use (of course) smartphone networks, and there they have seen rivals such as MediaTek move in. Market positions are not secret, and an easy way to make a strategy is to imitate what others do. In fact, these market strategy moves are a reminder of a paper I published in Administrative Science Quarterly in 1996 on the diffusion of a market position. I found that such strategic moves probably involve a lot of planning inside the firm, but from a researcher’s point of view they just look like copying. Strategic actions are taken after planning and thinking, but plans and thoughts are very much influenced by what the competition is doing. As my son (who studies data mining) might say, strategic planning is a human task that a computer can mimic. If we think about this particular strategic move, can we use the evidence to predict the next strategic moves? I think so. Innovations like the feature phone using 4G happen for a reason. The reason is that smartphone sales are stalling, and a key reason is that some of the largest phone markets (India and Indonesia) have remained stubbornly dominated by feature phone even though the telecoms are making 4G networks and local and foreign producers are offering smartphones. The advanced market is not doing well, and the in-between market has a gap. I think we will see MediaTek and others moving to imitate this market position. Greve, H. R. 1996. “Patterns of competition: The diffusionof a market position in radio broadcasting.” Administrative Science Quarterly, 41: 29-60. La La Land Entrepreneurship: When Does the Specialist Entrepreneur Win? 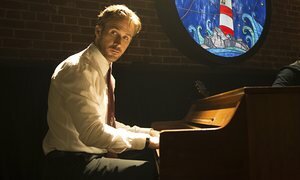 In La La Land, Sebastian is such a dedicated jazz pianist that he cannot bear playing other kinds of music – and after many trials and travails, he succeeds as an entrepreneur, starting the jazz club of his dreams. A wonderful story of entrepreneurship (the movie had a love story too, I think), but is it realistic? It depends on who you ask. A recurring theme in entrepreneurship is the trust in generalists – people who can master a wide range of tasks. This trust comes from one big-picture and one small-picture consideration. The big-picture consideration is that successful entrepreneurship has a component of inspiration gained from combining ideas that others do not see as connected. You may be carrying the descendant of such a combination: the iPhone was put together by a company making compact MP3 players that had just exited an alliance with Motorola to make cellular phones. The small-picture consideration is that smaller entrepreneurs often end up being in charge of everything, first directly, then through having to find and recruit expertise in each function. Generalists are good at this. But could Sebastian have become a capable founder of a jazz club if his interests and skills were all over the place? The argument against generalists is that they are superficial and don’t know enough about any specific topic to do well. A paper in the Administrative Science Quarterly by Olenka Kacperczyk and Peter Younkin has waded into this argument with important ideas and some evidence. Fittingly, the evidence is on music industry entrepreneurship: artists forming independent record labels. The key idea emerging from their research is this: pure generalists have no particular advantage in entrepreneurship; what is needed is one area of specialization combined with general knowledge elsewhere. Specifically, specialization in the market pays off when combined with general knowledge on the tasks needed for production. This combination buys both credibility and the understanding of customers, which are more important to specialize in than the mechanics of making a product. The investigation showed big effects of market specialization, and effects that were complementary to functional breadth. Market specialists could double their odds of success by becoming more general in functional knowledge; market generalists had low odds to begin with and did not improve much when gaining more general functional knowledge. So, Sebastian got lucky. Yes, he had market knowledge, but he knew little about different functions (I am not counting tap dancing as a useful function). A more typical case would be Justin Timberlake, whose specialization in R&B and popular music was combined with band membership, songwriting, performing as a backup singer, and music production. So, today’s practical advice: if you want to form a music label, follow Justin’s lead. Kacperczyk, Aleksandra (Olenka) and Younkin, Peter Y. 2017. The Paradox of Breadth: The Tension between Experience and Legitimacy in the Transition to Entrepreneurship. Administrative Science Quarterly, forthcoming.